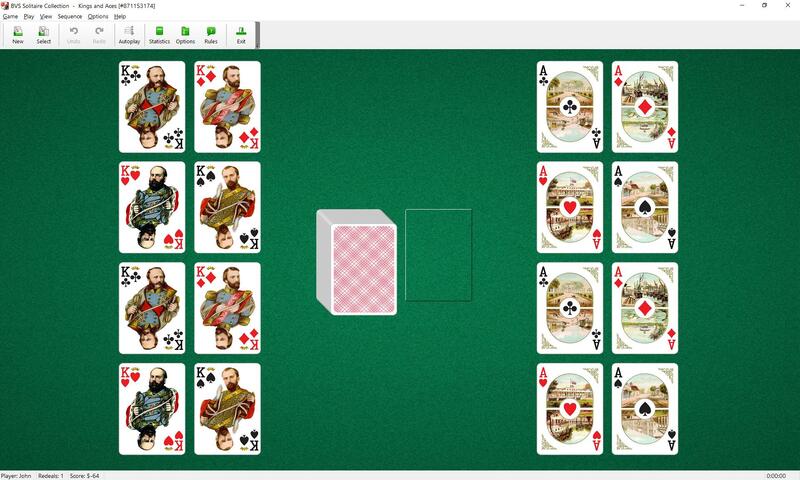 Kings and Aces Solitaire uses 104 cards (2 decks). You have 8 tableau piles and 8 foundations. Aces are removed from the deck to form the foundation piles. 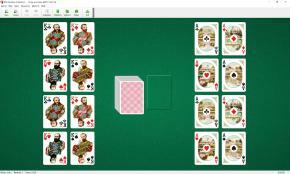 Kings are removed from the deck to form the tableau piles. When you have made all the moves initially available, begin turning over cards from the stock pile to the waste pile. One card at a time is turned over from the stock pile.